SINGAPORE - Prime Minister Lee Hsien Loong, in his National Day Rally speech on Sunday (Aug 20), highlighted three long-term issues integral to the future well-being of the nation. They are: building up pre-schools, fighting diabetes and making Singapore a Smart Nation. "These are things we can work on now... so that Singaporeans can start right, stay healthy, live smart," he said. Here are nine key takeaways from his speech. About 40,000 pre-school places will be added in the next five years, bringing the total to 200,000. This is to meet growing demand as more parents see the importance of pre-school education and more mothers return to work. 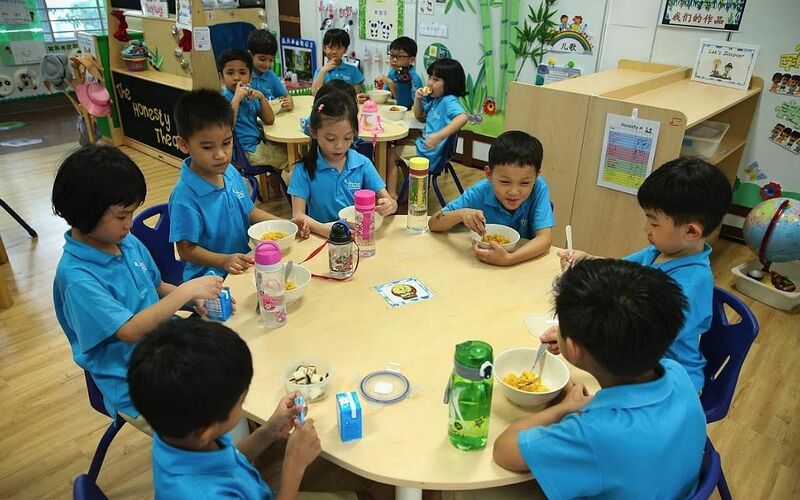 PM Lee noted that the shortage of pre-school places is mainly for children up to four years of age - a critical juncture of a child's development. To address the problem, the PAP Community Foundation (PCF) will build more Early Years Centres in new HDB developments. A child who goes to one of these centres will have a place reserved in a nearby kindergarten run by the Ministry of Education (MOE) when he or she turns five. The first four Early Years Centres announced in February this year are currently under construction in Punggol by NTUC My First Skool and PCF Sparkletots, and are expected to be operational in 2018. 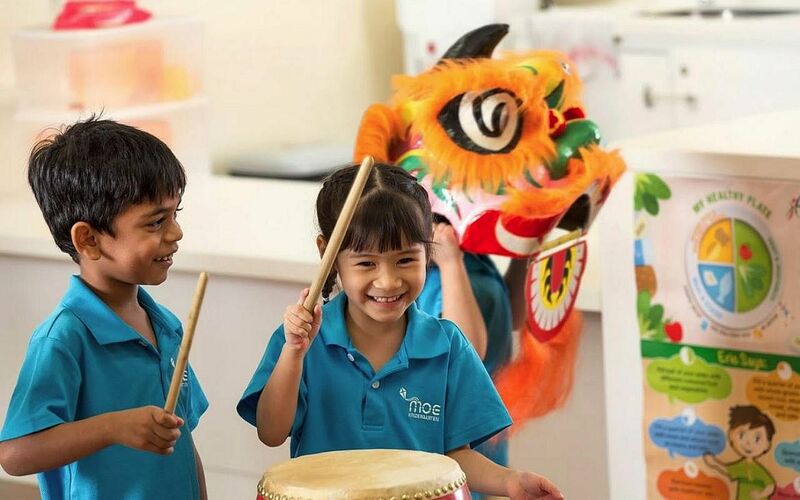 While there are enough places for children aged five and six, PM Lee said the MOE must lead the way to raise pre-school education standards for this age group. In the next five years, MOE will run 50 kindergartens - from the current 15 - to "influence and uplift" the quality of the whole sector. 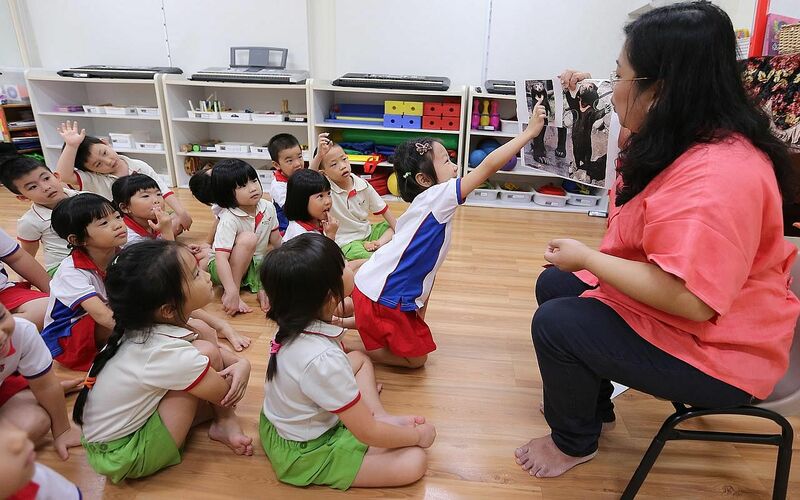 Polytechnics and institutes now offer their own pre-school teacher training programmes. Going forward, training will be centralised and brought under the new National Institute of Early Childhood Development (NIEC). The aim is to provide better training and professional development for pre-school teachers, and to attract more people to join the sector. PM Lee said the NIEC will follow in the footsteps of the National Institute of Education, which trains teachers in primary and secondary schools and junior colleges. It will offer the full range of diploma and certification programmes and develop curricula with different specialisations, among other things. It will also provide students with training awards which will cover their fees plus an allowance. Having more than doubled its annual spending on pre-schools in the last five years - from $360 million in 2012 to $840 million this year - the Government will raise it further to $1.7 billion by 2022. It is a heavy but worthwhile investment, said PM Lee. Access to affordable and quality pre-school will help level the playing field for young children, regardless of their family background. He also urged young parents to do their part - by having more babies. One in nine Singaporeans has diabetes. Among those aged over 60, three in 10 are diabetic. Calling it a very serious problem, PM Lee suggested four simple ways to fight it: go for regular medical check-ups; exercise more; watch your diet; and cut down on soft drinks. He also noted that Singaporeans are putting on more weight as they eat more. The average daily calorie intake has grown from 2,100 calories in 1998 - which is just about the right amount - to 2,600 in 2010. To put it simply, the increase is equivalent to the calories consumed from eating three extra scoops of ice cream a day. Some countries have tried to curb the consumption of soft drinks by imposing a sugar tax and introducing warning labels. But these measures have yet to be proven effective, PM Lee noted. 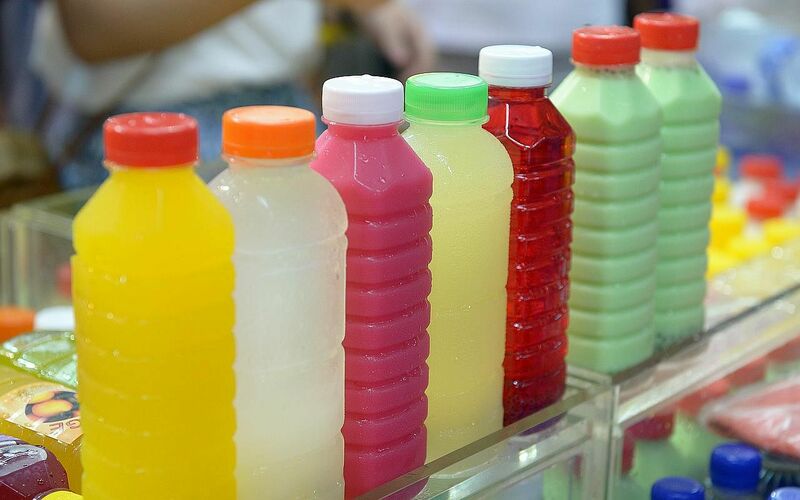 Singapore's first step will be to work with soft drink manufacturers to reduce the sugar content in all their drinks sold here, he said. This solution will help, but ultimately it is down to personal choice, he added. The best solution? Drink plain water. Moving on to the topic of Smart Nation, PM Lee said it is all about taking full advantage of IT to create new jobs and business opportunities, make the economy more productive and make people's lives more convenient. One area IT can help is public safety and security. A major project in the works, he said, is to make "every lamp post a smart lamp post" by allowing them to carry and transmit intelligence gathered from surveillance cameras and sensors installed islandwide. 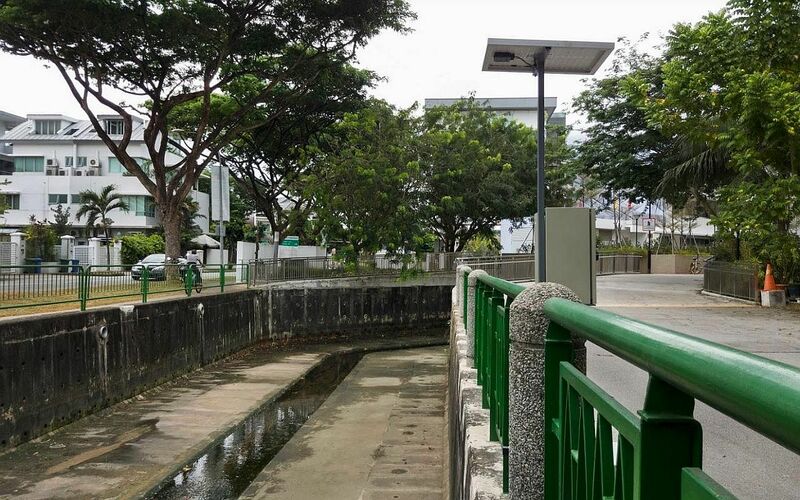 This network of interconnected lamp posts could form Singapore's Smart Nation Sensor Platform. The platform aims to use artificial intelligence (AI) technologies to analyse video footage collected by various government agencies and sources to detect anomalies and predict situations such as potentially unruly crowds and traffic congestion. In China, even buying gao lak or chestnuts from a street vendor is done via e-payment methods such as WeChat Pay and AliPay. This is one area Singapore is lagging behind, PM Lee noted. Although Singapore has e-payments, there are too many different schemes and systems. PM Lee highlighted the need to simplify and integrate them into a single system such as PayNow, which is being offered by seven banks here. 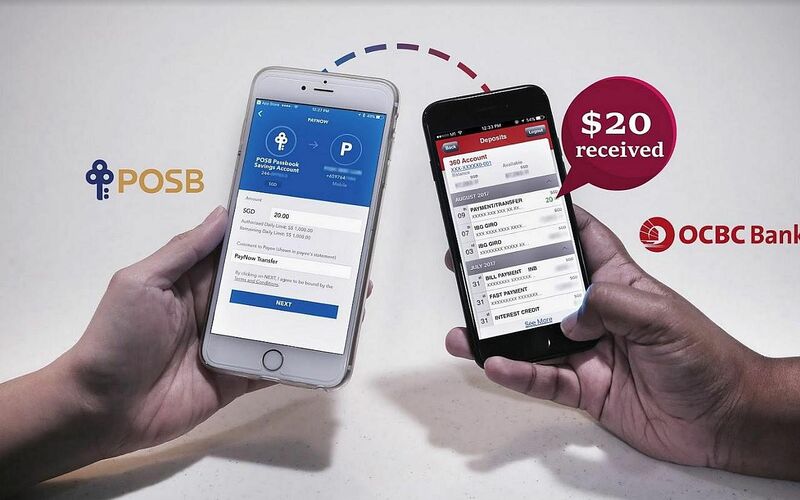 The new fund transfer option lets users transfer money to each other using just the recipient's mobile or NRIC number once an account has been linked. Besides major projects in Singapore's IT push, smaller ones to solve daily problems are also in the works. One such example is the new parking app, parking.sg, which will launch by October. 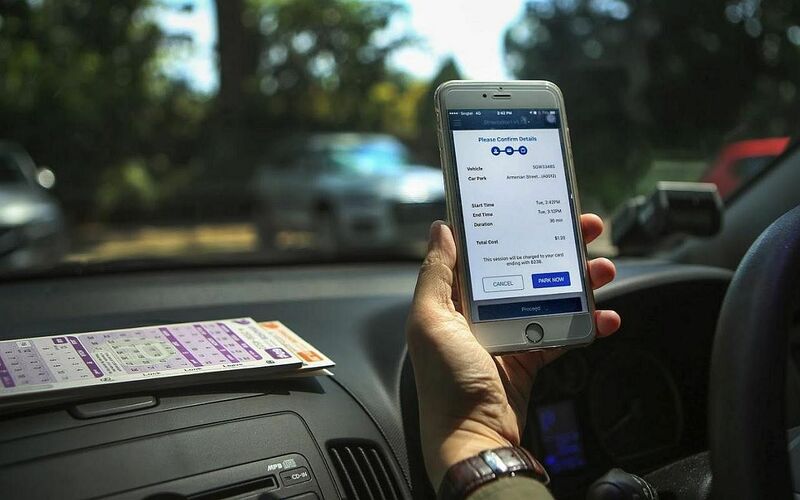 The app, being developed by the Urban Redevelopment Authority, the Housing Board and GovTech, will replace what PM Lee described as the "40-year-old solution" of tearing paper parking coupons. With the app, motorists can pay only for the duration they park. The app also allows users to extend parking sessions remotely.